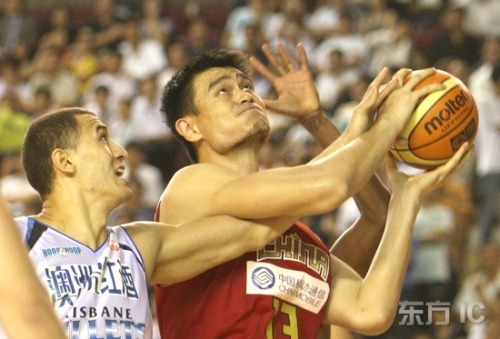 Yao Ming and the Chinese beat the Brisbane Bullets for the second game in a row by a wide margin Monday night, this time 82-62 in Zhuhai. Both Yao Ming and Yi Jianlian didn’t have to play in the fourth quarter because of the blowout win. Both played 23 minutes and had similar stats: Yao had 17 points and 10 rebounds, while Yi had 18 points and 7 rebounds. Click here for more photos and details from the big win. 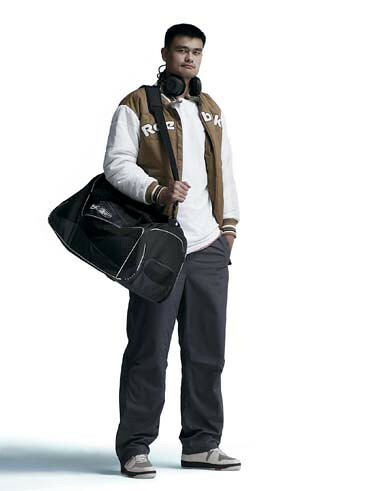 After the victory, Yao took a red-eye flight from Zhuhai to Beijing to participate the next morning in the launch of a new Reebok campaign geared toward supporting Yao in his attempt to bring glory to the Chinese basketball team in the 2008 Beijing Olympics. 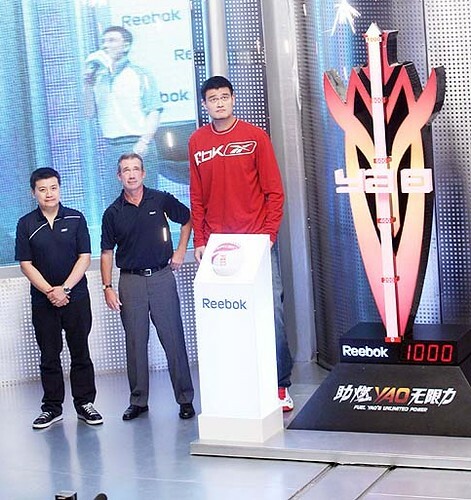 To see more photos of Yao at the Reebok announcement and in his new Reebok clothes, click here. It’s pretty cool stuff. Thanks always to Raymond for the new and pics. This entry was posted on Tuesday, September 25th, 2007 at 11:59 am	and is filed under Spokesperson. You can follow any responses to this entry through the RSS 2.0 feed. Babies grow at an incredible rate so one switzerland clothing doesn’t have to worry much about clothes being worn out, they tend to be outgrown and still in beautiful condition. You rock Yao! Love you!